Another month, another 25 new openings; or so it seems in this city with a proliferating dining scene that continues to impress and delight. There’s a long list of new places you need to know about that’ve sprung up all over the place, from a new BYO burger joint for Freo, to multiple beachfront eateries, upscaled neighbourhood pubs and even a taqueria with a basketball court. It’s time to get eating. Here are all the best new openings in Perth. Joining Perth’s family of busy beachfront cafes is The Little Bay, newcomer to the northern beaches from the husband-wife duo behind smash hit Little h in Duncraig. Taking over from the old cafe and converting it into a fresh, modern space with a minimalistic coastal vibe, they've worked wonders on the joint. Settle into the ocean views for breakfast or grab a takeaway from the coffee window. The idea at Billy Van Creamy is simple: make really good ice cream, from scratch, daily, and then jazz it up with an impressive all pink and red fit-out. 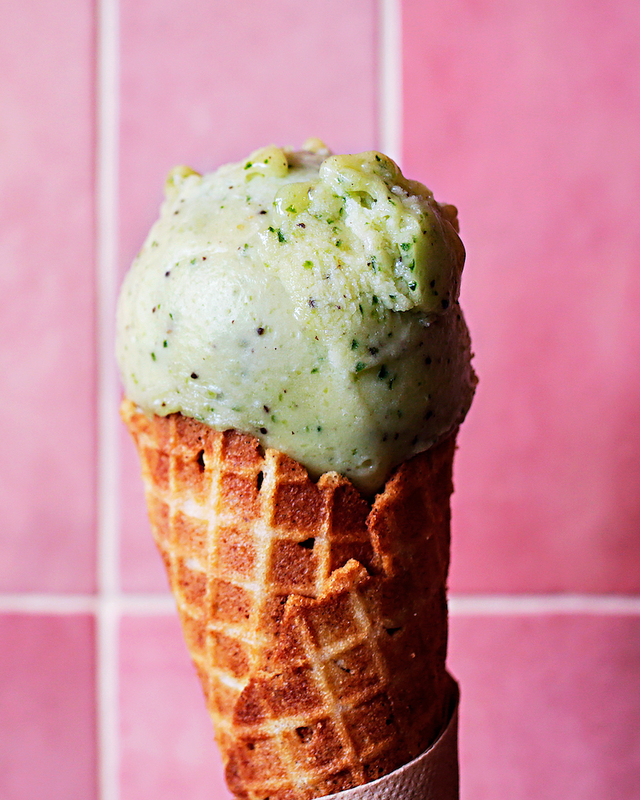 The ice cream served up here is super creamy and totally natural (the perfect dessert after dining at the natural wine bar it’s moved in next to), and they even provide vegan options that we suspect many a non-vegan will be ordering too. A cafe dedicated entirely to cinnamon buns. Need we say more? Sinamon is your new Beaufort Street go-to for a bit of indulgence. Freshly frosted favourites in all kinds of flavours are on offer weeknights and weekend mornings; think overloads of cream cheese, blueberry, mango and strawberry. European-inspired pastries, breads and cakes are the speciality at Baker et Chef, South Perth’s latest resident cafe and bakery. The Chef and Baker duo behind this place are passionate about crafting high quality, memorable food. They’re nurturing their own sourdough base on premises, creating delicious farm to table style dishes and serving delicate French-inspired cakes. Nobibi Perth has just opened up on William Street and they’re specialising in soft serves and providing the perfect backdrop for selfies. The store is an Instagrammers dream featuring bubble hanging chairs, neon signage, a ball pit and ice cream wrapped in cotton candy. Raising the bar for casual dining at Hillarys Boat Harbour is the brand new Northside, all-day eatery and vantage point for uninterrupted Indian Ocean views. The menu keeps it real with well-done favourites like smashed avo, beans and decorated pancakes for breakfast and grilled fish, crab spaghettini and mushroom risotto for lunch. Diners south of the river are enjoying a few new openings of late and The Neighbourhood Kitchen + Coffee is their latest all-day dining option. They’re offering up a creative menu with an emphasis on vegetarian and vegan options for breakfast and lunch, while the afternoons and early evening sees them cracking bottles for tasting from their boutique wine shop. Commuting regularly through the new Raine Square tunnel? Black Honey Espresso is your new coffee stop en route to the desk. It’s everything you’d expect from a grab & go speciality coffee joint, only better than you’re used to. Not satisfied with dishing out some of the inner-city’s best coffee, jaffles and bike repairs, the guys behind William Street bike shop Get Ya Fix have shifted gears. It’s out with jaffles and in with William Street Bagels, where you can expect a variety of creations; everything from the classic smoked salmon and cream cheese to a more interesting LA-style inverted bagel. Fusion tacos, Twin Peaks coffee and a basketball half-court make for good times at Donnie Taco, a newbie for West Perth residents and early-morning commuters who don’t mind attempting a quick three-pointer while waiting for their brew. Daytime play on the courts is free and the tacos (which range in flavours from pulled pork to pastrami) are delicious, so there’s no reason not to go. The new eatery from Little Creatures, the offering at Helm celebrates its closest neighbour, the Indian Ocean, through design, menu and experience. Think honest share plates using seasonal produce, with much in the way of seafood and a woodfired grill the kitchen centrepiece. It’s a spot for lazy lunches, sunset drinks and, above all, a place to enjoy that winning Freo Harbour vibe. 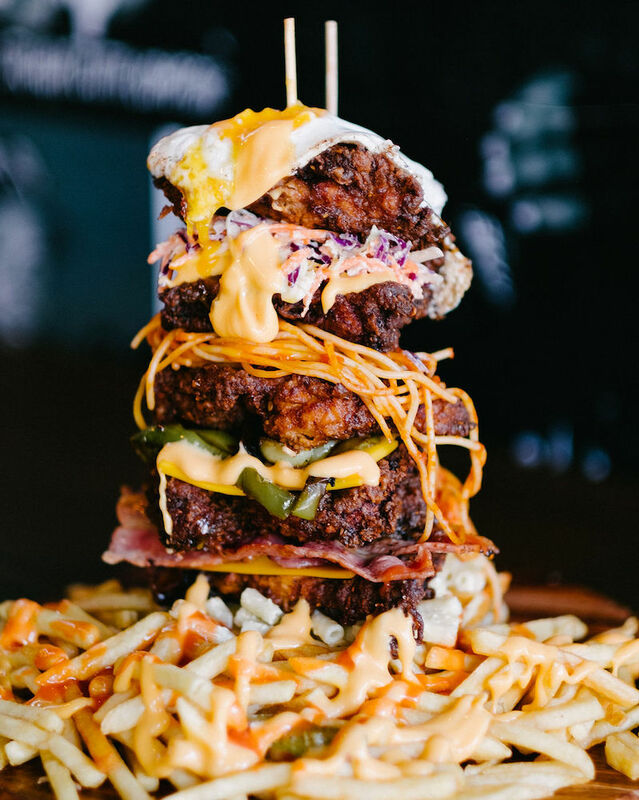 Just as Perth fried chicken fans were hit with the news of favourite Meat Candy shutting up shop, local R ‘n B DJ Karl Blue and business partner Giovanni Pezzano (of The Meatball Bar and MOP Donuts allure) announced the opening of Thuggs Fried Chicken. It’s definitely a more-is-more situation here with fried chicken waffle cones, burgers and even stacks piled high with layers of mac ‘n cheese, spaghetti, pickles and chips. From the guys behind Blake Street Merchant comes Ninth and Merchant. They've taken over the spot that was once Miss Kitty's Saloon and they'll be open for breakfast and lunch as of Thursday 13 December, with dinner starting in 2019. BYO burger joint Big Rigz Burgers has a menu so long you won’t know what to do with yourself. 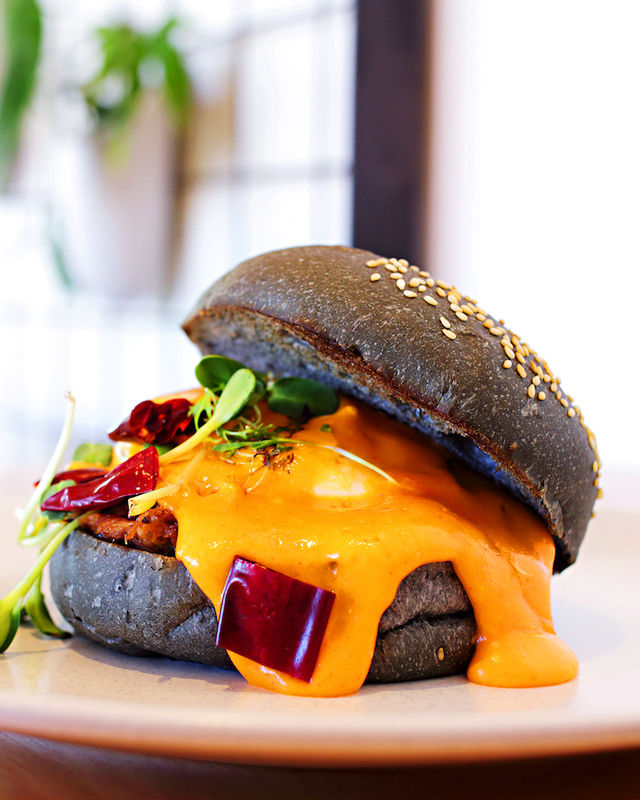 They’re offering fine ingredients and creative combinations (including plenty for those of the vege-persuasion), complete with their very own secret-recipe buns. Top things off with a gelato cookie sandwich. Will it be honeycomb, pistachio or salted caramel? 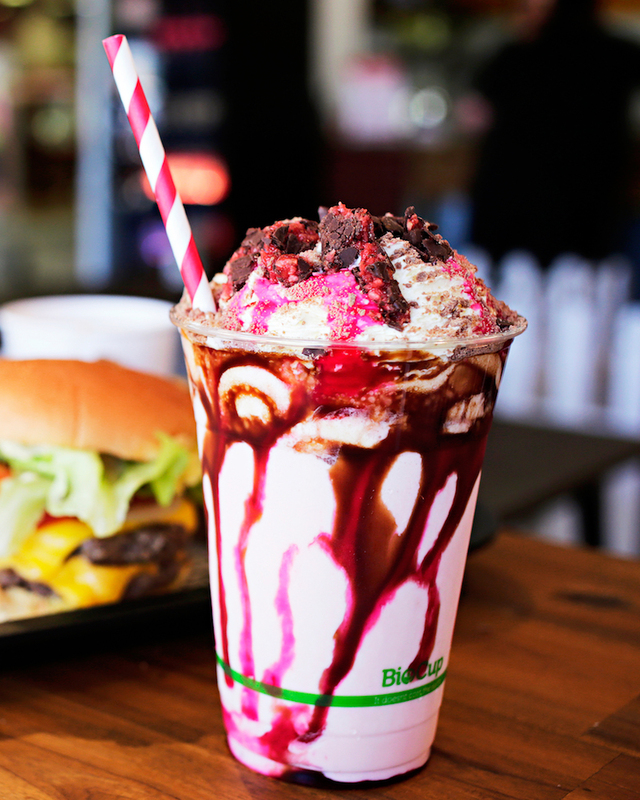 It seems Perth’s having a moment when it comes to burgers. Little brother to RoyAls, Baby Roys has opened in Melville and they’re offering greasy in-n-out style burgers that are the things of hangover-cure dreams. Add to that loaded hot dogs, waffle fries and a sweet neighbourhood joint vibe, and you’ve got a dangerously good eating habit in the making. A Thai restaurant that takes its name from its own spice-o-meter (you can either ‘silence’ your dishes or turn them up ‘louder and louder’ if you want to bring the heat), Louder Louder is bringing nostalgic flavours of Thai street and home-style food to Northbridge. The place is funkier than your average Thai joint too, so you can enjoy your spicy papaya salad and Thai pork sausage in style. Yagan Square’s newest resident Ficus comes with big credentials; it’s from Cantina 663 owner Paul Vanderplanke and Kevin Opferkuch from the illustrious Bunbury Farmers Market. Providing gorgeous CBD views, hearty farm-to-table dishes and a stylish fit-out to enjoy it all in, Ficus is definitely already making its mark on CBD dining. The second part of Little Creatures’ exciting new venture, SONAR Room is a dedicated live music and performance art space tucked away behind the towering silos of Little Creatures, adjacent to Helm. Local Six By Nine Agency is in charge of curating an exciting calendar of national and local acts in the way of live music, burlesque, comedy and special events, so be sure to keep up. 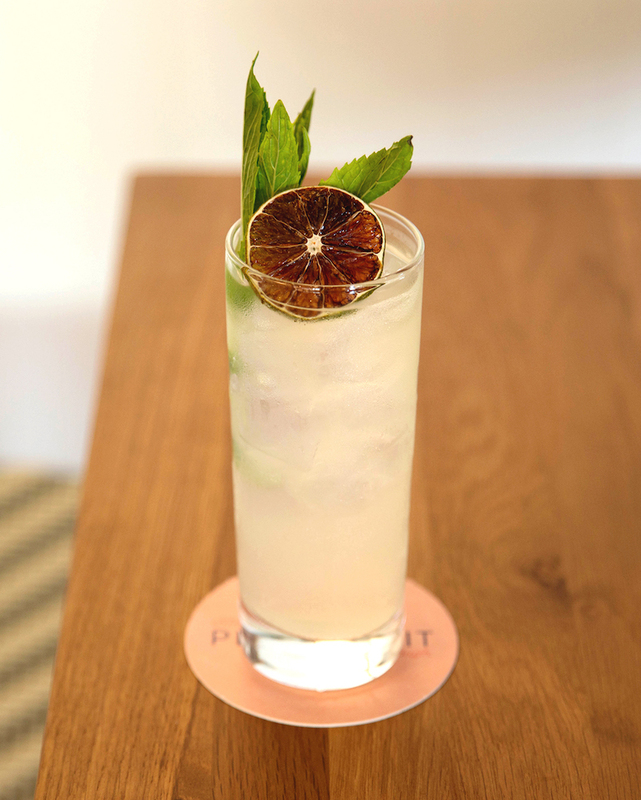 Scarborough’s Sunday session game has been taken up a level by The Peach Pit, which opened last month to great anticipation among the salty-footed and cocktail-drinkers. The place is pretty gorgeous, the drinks refreshing and the food offering of the welcomely typical seaside variety. The latest reason to head to Freo besides the Harbour revamp comes thanks to The National Hotel, who’ve just opened their rooftop bar. Having arrived along with the summery weather, it’s just in time to help you take your drinking and dining to greater heights. From the rather adventurous crew who brought us the mini golf revolution that is Holey Moley comes Strike, an incoming rooftop bowling alley that ups the family-fun ante of ten pin bowling with added escape rooms, karaoke rooms, a fully equipped cocktail bar and a ‘Merican-style menu. Plus a second Holey Moley, of course. From a reunion of great proportions comes The Quarter Acre Hotel, a new neighbourhood pub bound for Applecross. Superstars Miles Nolan (of Little Creatures, Shadow Wine Bar and Alex Hotel acclaim) and Lavish Habits’ Clint Nolan (Henry Summer, La Cholita, Sneaky Tonys et al) have re-joined forces to bring us this very exciting venture, one that’ll come complete with communal picnic tables, classic pub grub and cocktail pitchers. The new wine bar and eatery from the Monsterella husband-wife duo set to open just down the road from its mothership, Mummucc will very soon be dishing out pasta that’s hand-crafted by owner Tania Nicolo’s mother alongside a variety of Italo-eats (think cold meat cuts and fresh bread) and a naturally-inclined wine list. This’ll be one for the books. It’s goodbye to fried chicken and hello to fresh continental sandwiches, Mediterranean shared dishes and lo-fi vins at La Motta Continental, the new iteration of the old Meat Candy site from the same owners. Opening any minute now, this is another spot to hit at the up and coming top-end of William Street. The brainchild of seven local Perth lads who love a craft brew, expect good times and good beers aplenty at this brewpub that’s soon to hit Newcastle Street. Golden West Brewing Co pays homage to historic Leederville brand, Golden West Company, who locally crafted carbonated beverages for 75 years from 1896, before being bought-out by Coca-Cola. What’s not to love? Want more? Check out more new openings in Perth.